Jessica Devins and her husband, Michael, of Minneapolis, America, love photo booths. That’s why she decided a photo booth would be just the place to announce the news that she was expecting a baby. 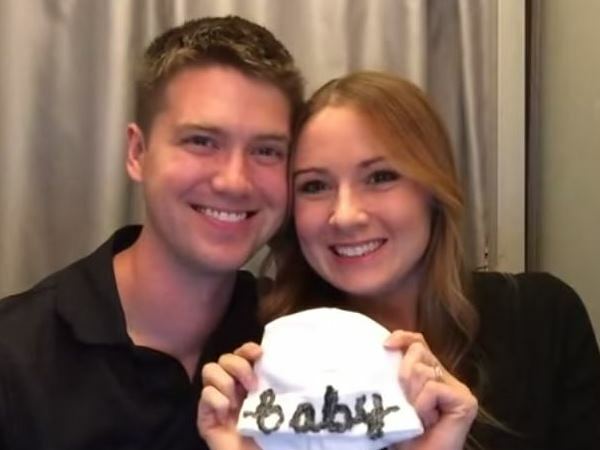 Right after the first photograph was taken Jessica lifted a baby cap with the word “Baby” written on it. See how stunned Michael was when he realised what was going on. I'm a 38 year old woman looking to meet men between the ages of 40 and 54.